Since we spend about a third of our lives sleeping, do you want to spend it on a bed that's so-so? Of course not! It takes just one night to know if you love or can't stand your bedding. With lavish bedspreads, here's to no more fitful nights! By focusing on layers of comfort with your bed linens, you can improve a full third of your life in subtle and noticeable ways. This checklist will help you create more than a soft place to land. Focusing on notes of aesthetics, comfort, quality materials, and finer details like breathability and durability, let's build the bedspread of your dreams. Before you dive into fine details, let's start a little higher on most people's priority list – style! This isn’t a materialistic perspective to take, as you will actually find all varieties of quality, prices and materials within each of the main style categories of bed linens. In that sense, picking your style is arguably the fastest route for finding the best quality bedding for you. Traditional Bed Sets: Hallmarks of traditional bedding are order, predictability and "classic" design motifs. Traditional styles are not boring by any means. But they do tend to be more restrained in terms of colors, patterns and the like. Traditional bedding can incorporate ornate details for unique flourishes, but will generally hover somewhere around solid, less dramatic colors and designs. Transitional bedding: Transitional is where contemporary and traditional styles collide in a fusion of colors and motifs. Patterns and colors can edge into the eccentric without going overboard with overly unconventional design motifs. 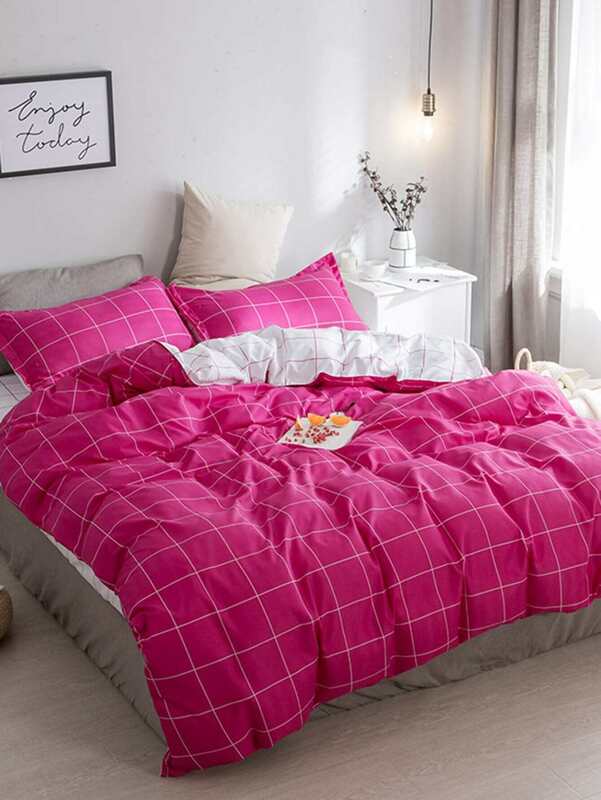 Contemporary Bedding: Elegant bedding of the contemporary variety can be much more outlandish, though with softened features and rounded lines. Unlike austere modern, contemporary will also incorporate very powerful colors when the designer was compelled to do so. Solid bed sets: Timeless and able to blend with any complimentary colors, solid sheets and blankets will bring understated elegance to any room. Now that you have an idea of what to expect from pillars of style within designer bed linens, you're ready to refine your search by other criteria. Here's where softness (materials), durability, laundering characteristics and piece count come into play amid other considerations. Egyptian Polyester Blends Pictures just don't do softness any justice! Since softness is something that surrounds you, you'll know when it's just right. Bedsheets are really where this comes into play more than anywhere else within high end bedding. Naturally there is a "good, better, best" to consider when it comes to blanket and sheet softness, and softness will scale up with pricing. In general, the softest bed material are extra-long fiber cotton. You might know it as long-staple fibers if fabrics are a passion of yours. Pima, Egyptian and supima are generally heralded as the most comfortable of these varieties of cotton, though cotton boasts quite a large family tree. 100% Egyptian Cotton: The king of soft cottons, true Egyptian cotton has extra-long fibers for enviable softness. Our bed sheets buying guide goes to great lengths to explain the differences between Egyptian, prima, supima (pima), micro cotton, MicroCotton™, Turkish and upland cotton. In the image above, you'll find a link to one of our single ply 100% Egyptian cotton bed sheets in our selection. Egyptian Cotton Polyester blends: It's common for sheets to combine the best of affordability, softness, thread count and breathability through Egyptian cotton polyester blends. Being synthetic, polyester is far more durable for laundering. It's also much more affordable. Yet, polyester is far less breathable and soft, so when the two are combined, you can begin to see the advantages of the two fusing to keep down costs, increase durability, and maintain the softer qualities of Egyptian cotton. The truth about durability is two fold. On the one hand, the materials you select will play a part in the overall durability of your designer bedding. From there, your own laundering will play a major role in determining the overall shelf life of your bedding. In general, polyester is more durable than cotton, staying strong with frequent washes. It's also more resistant to wrinkling than cotton, although it will pill over time. If you're looking for the absolute best in durability, however, you can move along from polyester altogether. Make way for linen, the strongest natural fiber in the world! Derived from the flax plant, linen has very long fibers that are thicker than cotton. Thermal regulating and antibacterial, linen also delivers a one-two punch of other desirable traits. In all cases, following the laundering instructions on your bedding is critical for preserving the long term durability of any fiber. So while it may be tempting just to wash away at any temperature or setting, for the long term well-being of your bedding, do your homework and follow the instructions. If you've ever built a quality bedding set, you've probably learned it is less economical and harder to get every little piece to match piece-by-piece. Luxury comforter sets can help take the guess work out of the entire process by bundling up to 24 bedding pieces in a single set all the way down to a single comforter and everything in between. Below are just a few shots of the sheer breadth of options! In this guide we spent a lot of time talking about luxury bed sets. But it's important to note that "luxury" doesn’t necessarily mean it will empty out your coffers! The more you shop for blankets, sheets and the like on our site, the more you'll learn that you can find the right balance for you across different fabrics, piece counts, brands and more. We strive to give you as many options as possible to make your experience seamless and leave you happy with your purchase. Once again, here's to an enjoyable shopping experience and even better, a good night's rest!